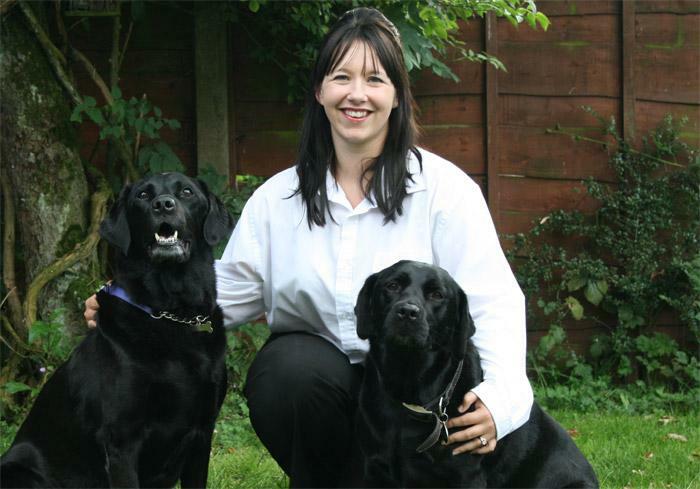 Hello I'm Isla Clarke, your therapist for Bark Busters Home Dog Training Worcester & West Midlands South region. 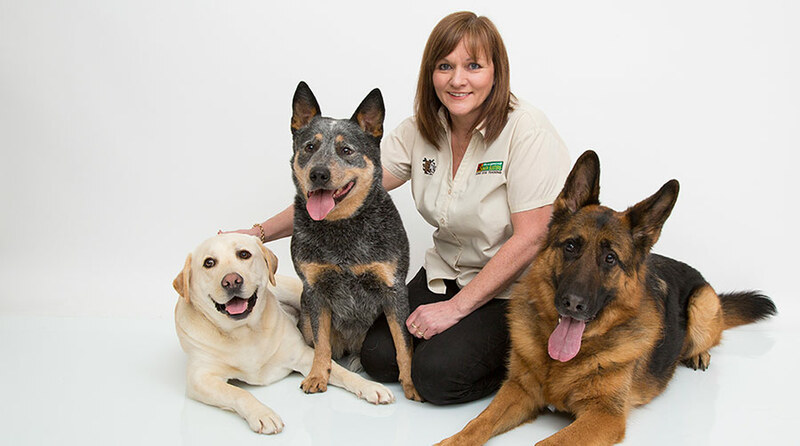 As a dog trainer with over 8 years' experience working in the West Midlands region, I have enjoyed meeting lots of different dogs and their owners, in different situations, and displaying many different behaviours. I love my job, as I love meeting the dogs, and their owners who ask me to help them overcome behavioural issues they are struggling to control. It could be that your dog constantly barks and annoys the neighbours, or pulls you down the street when on lead, or just won't come back to you when you call him. These, and many more issues, are the types of behaviour problems I deal with every day. My job satisfaction comes from helping owners to learn how to communicate better with their dog so that these problems can be overcome, and seeing the look of delight on their faces when they finally see that their dog isn't beyond training. My methods are based on how dogs naturally communicate along with being consistent. They are fast acting, long lasting and gentle. I want your dog to love and respect you – exactly what I imagine you want too! So, very often, I spend a lot of time coaching owners in a way that will help them achieve that, and showing you how to interact with your dog, making the programme fun and rewarding for both of you. My training starts off in the home, as this is where the problem behaviour is learnt and where most of the problems start. On our very first meeting, you will have lots of opportunity to tell me about the problems you are experiencing, and what you want to achieve. We will work together, using my unique communication techniques, to help your dog understand what you want from him, and giving lots of praise and encouragement as he learns. You will also be learning too, so I will ensure that you have lots of opportunity to practise the techniques whilst I am with you, and then I will leave you with a clear tailored programme to follow. Bark Busters offer a written support guarantee for the service. This means that, once you have decided which of our training programmes best suits you, I will return free of charge to support you throughout the term of the support guarantee. All we ask is that you commit to practising for 10-15 minutes each day, so that progress is maintained. I can help you with leadwork, recall, separation anxiety, sibling rivalry, barking, aggression, and many other issues. I can also help with puppy training which covers toileting, mouthing, and chewing initially, and goes on to lead work, and any other advice and instruction you'll need to help your puppy grow into a happy, well-socialised member of your family. As a dog owner myself, I understand how important it is to feel confident in your dog's behaviour. This is what bought me to Bark Busters all those years ago. I'm sure that, together, we can work to build a better relationship between you and your dog and to create a happier dog in the process! You might like to join me on one of my community dog walks in Cannock Chase, or Dimmingsdale in Staffordshire. These are monthly events, completely free of charge and a great way to socialise with other people who understand the issues you may be having. You can also visit my Facebook page for news, tips and advice. 95.9% of my clients rate their experience with Bark Busters as 4 or 5 out of 5 stars. 96.9% of my clients would recommend Bark Busters to their friends and neighbours. Average rating 4.8 out of 5 based on the last 97 reviews out of 182. Isla was very good and the session went really well. Isla is good and explained all the issues and how to correct Tyson. Excellent. Isla is friendly supportive and full of priceless tips. She put both of us and the puppies at our ease . A very promising start to our training. We can already see a difference in our girls.